First off this update, I have to apologize that I missed the update 3 weeks ago. 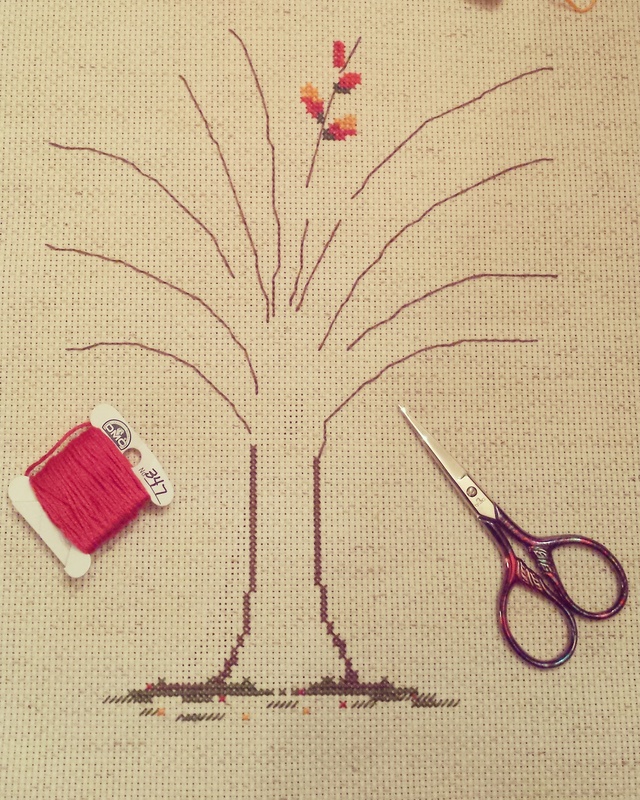 I was preparing for surgery that Tuesday and my mind just was not on stitching. Everything turned out beautifully and I am feeling fine and almost completely healed and back to work. 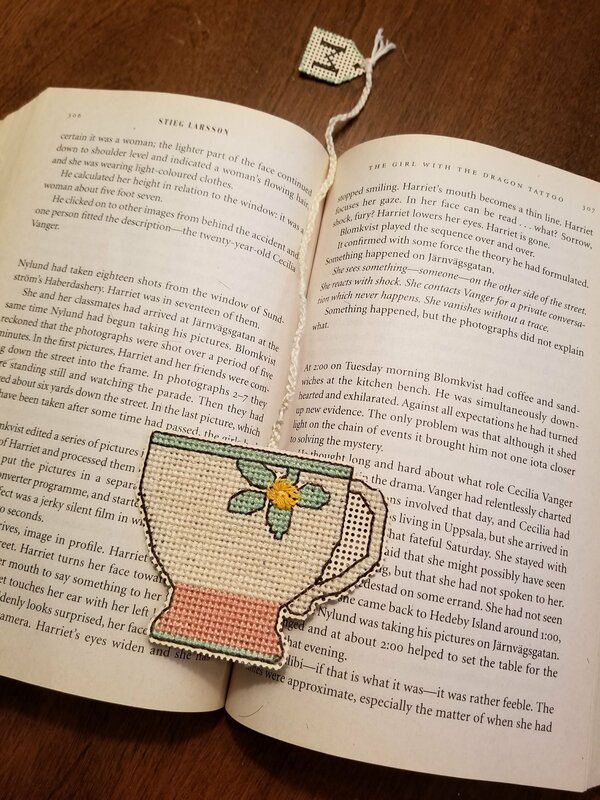 During my recovery I got some stitching and reading done which was relaxing and kept the pain at bay. I did, however change my SAL project for this group. 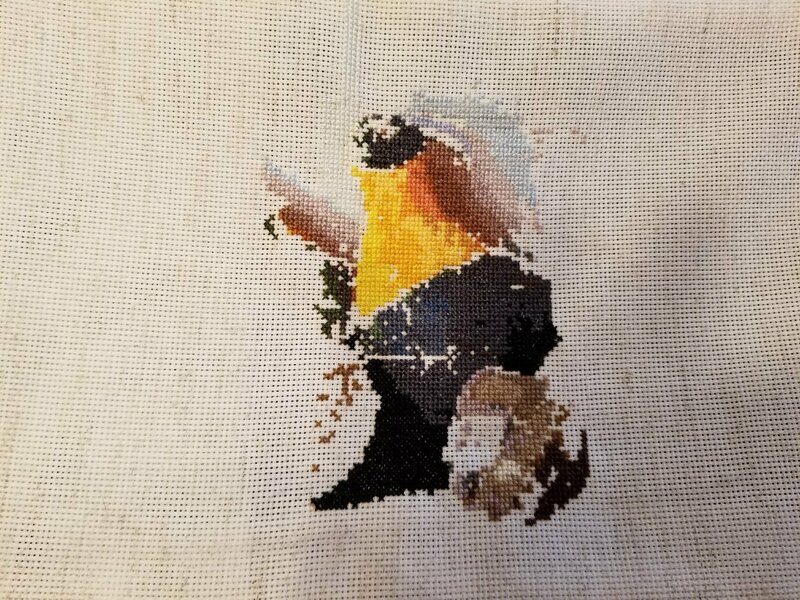 I just was not feeling my own charted project that I was working on so I have put that aside and have chosen to work on the gigantic Onions and Gourds Cross Stitch Project instead. Doesn’t look like much yet but maybe you will see it take shape in the next three weeks. 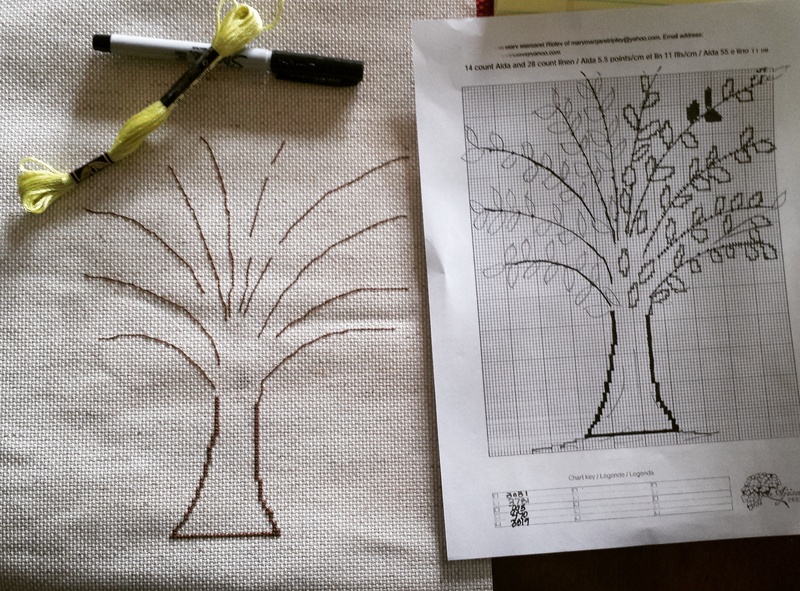 Please check out the other stitchers in the Stitch-a-Long and see what they are up to. There is some fantastic work going on with these folks that I am excited to catch up on. 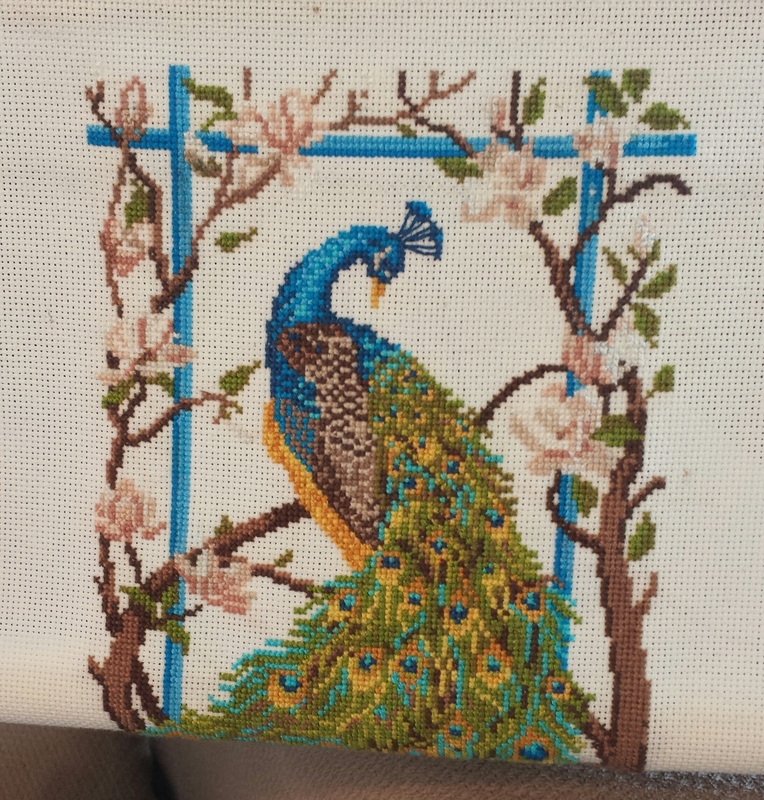 Well I thought I was doing pretty well with this project until I took a photo of it just now. 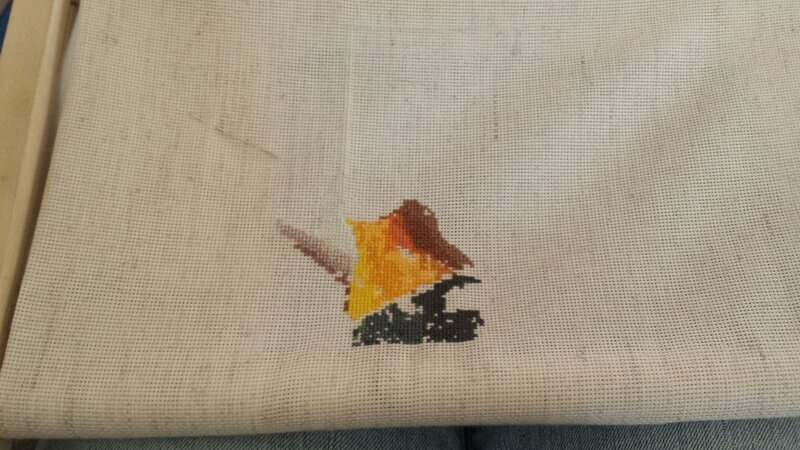 This is my first time charting my own project and it just doesn’t photograph as well as I would like. 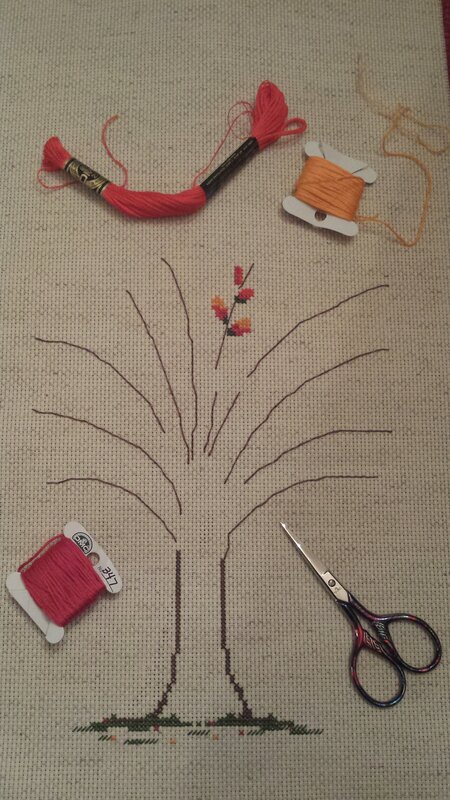 I still have all of the leaves to stitch and some sort of saying or verse at the top, plus a few other things. Woohoo! 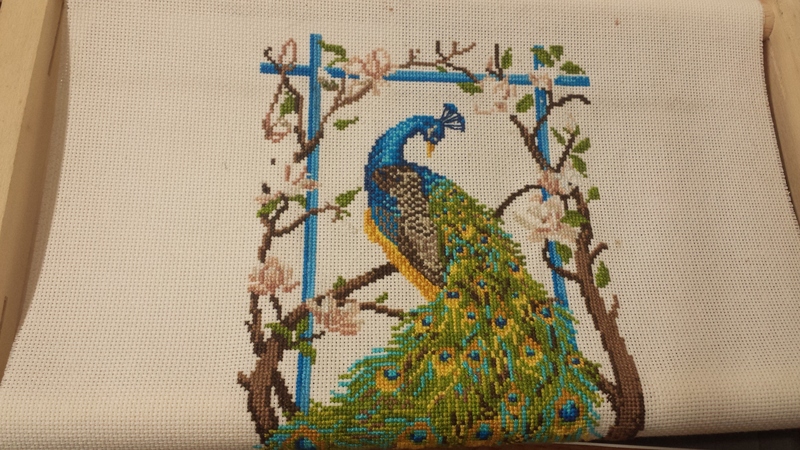 I can do the happy dance because Mr. Salvador the peacock is complete. 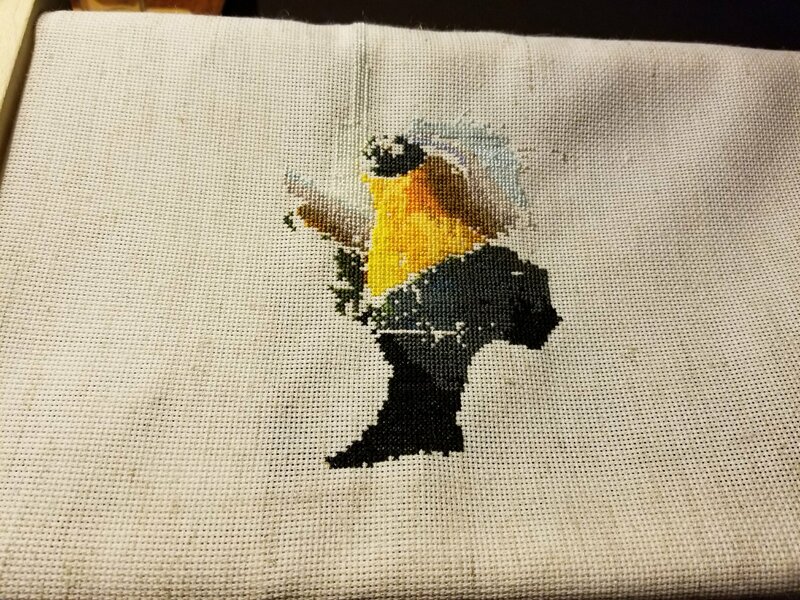 The only thing I would like to add to him is possibly some tiny beading to give him a little sparkle before I frame him. 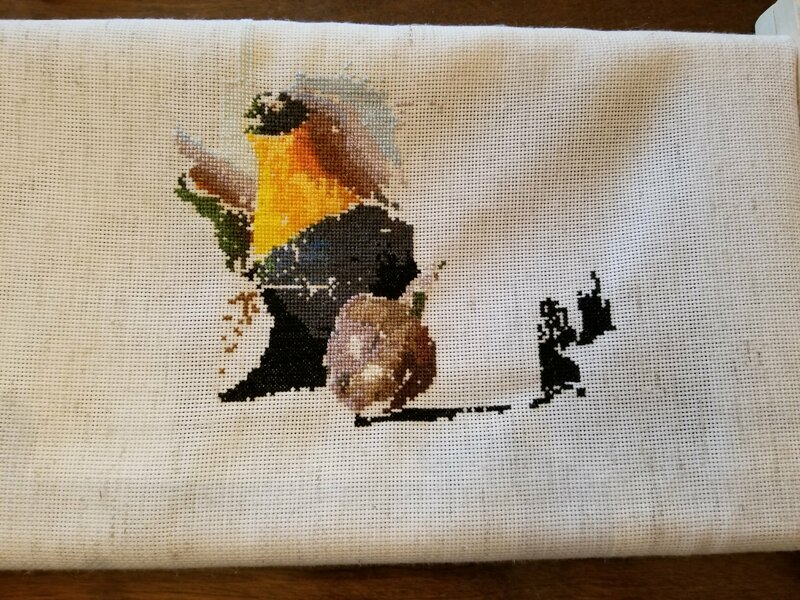 I am still looking for the right frame for this project so I will post again when it is complete and I can give it to the intended recipient :). 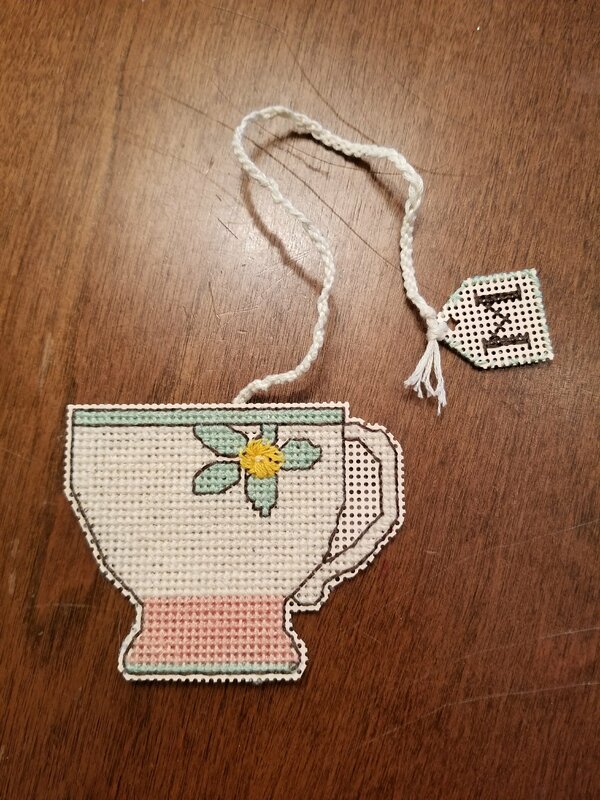 Other than that, I consider this beautiful cross-stitch project done and I can’t wait to give it away! Now I have to figure out what my next project will be. A gigantic new project or my own design project. 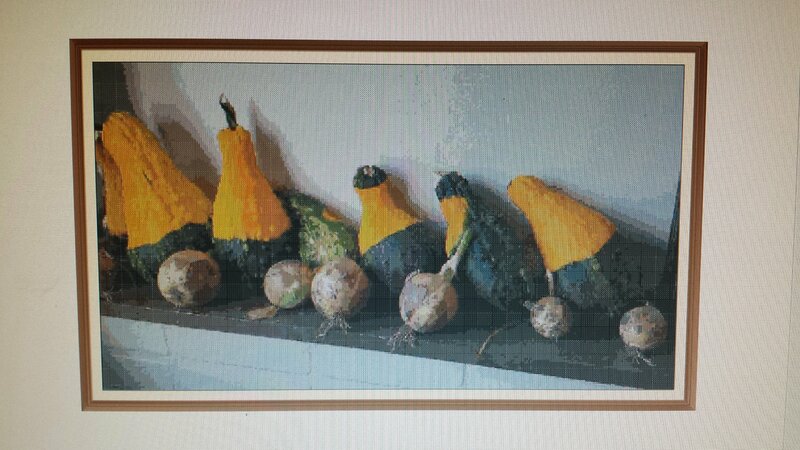 The above is a chart I had made of a photograph I took of my back shelf after I harvested these gourds and onions. 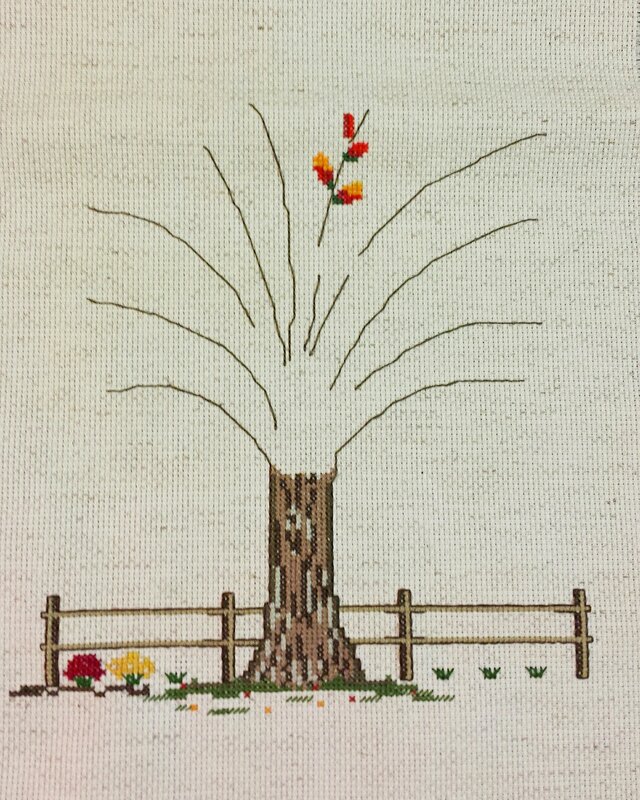 I had the photo converted into a cross-stitch chart by an online company. It’s 10 pages long! I think you all may get sick of looking at this if I choose it for the SAL though lol! This other project is my own design. It looks simple right now but there is a lot I will be adding to it which will be fun to see. What do you think? Which project should I choose for the SAL? 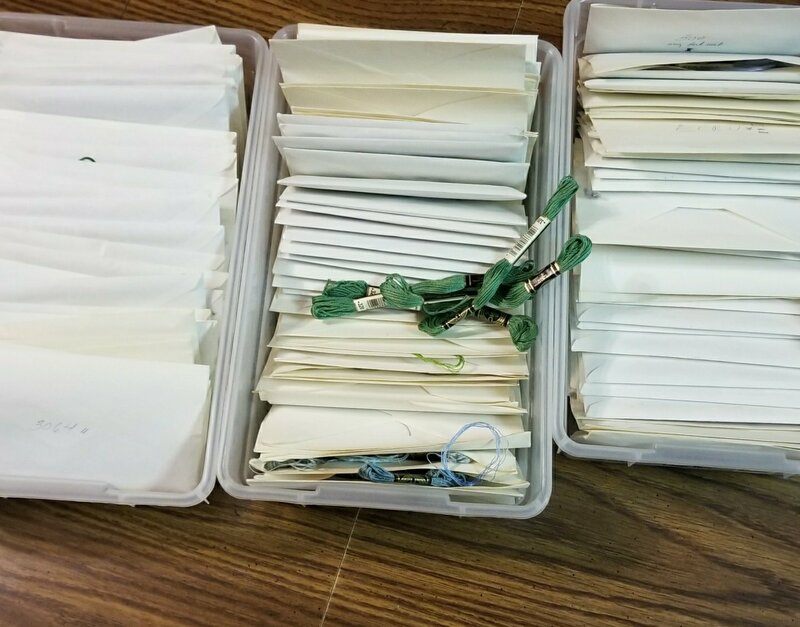 If you are wondering what this SAL group thing is all about we are a group of stitchers that update each other every 3 weeks with an individual project we all pick for ourselves. 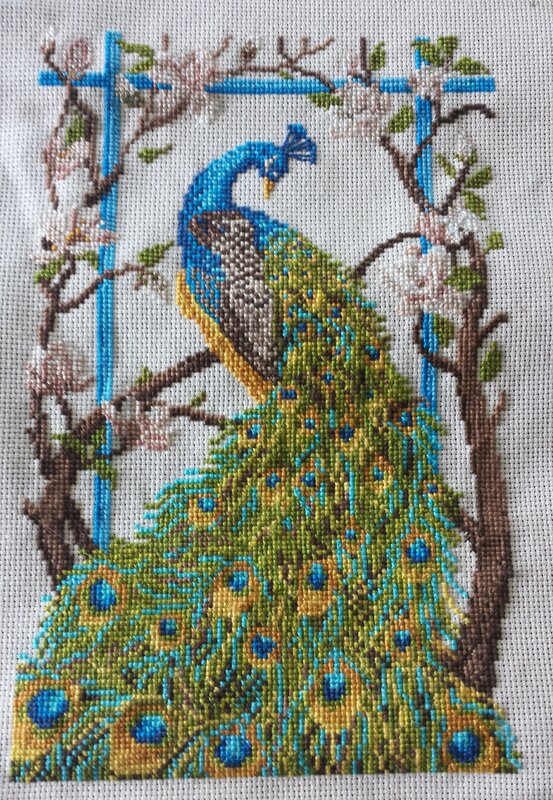 I could not have finished Mr. Peacock as fast as I did without having that gentle push and reminder every three weeks from Avis and the rest of these lovely like minded stitchers. This update we’ve added two new members too. Welcome Connie and Heidi!! If you are a stitcher and would like to join the group please contact Avis via email which you will find when you click on her link below. In fact I would encourage you to check out all of the wonderful stitchers in this group. Their blog links are highlighted with each of their names.